Refreshing idiom that Isa Wiss, a Swiss artist, gives to this duo is a matter of her versatilty as a voice artist which work ranges from electro pop, jazz, big band and fully improvised music. Given this information as well as an interesting array of surreal texts that Isa writes together with this makes her picture way interesting beyond the typical image of avant artist. Mostly because her indiviual style and tactics. Marc Unternährer (*1975) lives and works in Luzern, Switzerland. Classical studies at the Musikhochschule Luzern, Fak. I, performance master degree in 2000. Worked in different orchestras around Switzerland, but mostly doing modern composed music in various ensembles and as a soloist. First performances of music written for him by Urs Peter Schneider, Kit Powell, Jeff Kowalkowski, Amnon Wolman and others. As a musician and performer part of three theatre pieces by Ruedi Häusermann at the Basel Schauspielhaus, one about the life and Art Brut of Adolf Wölfli, one about German comedian Karl Valentin, and one in 2009 in Stuttgart. Furthermore at the Schauspielhaus Zurich (with Christoph Marthaler), and various other productions. Music for the film "Gartentor, Kulturminister" by Andrea Leila Kühni, 2007. Bands he currently plays in include the Chicago – Luzern Exchange (CD “Several Lights” on Delmark), Albin Brun’s Alpin Quintett (CD out on Altrisuoni Records), Pipelines (with Hans Kennel and John Wolf Brennan, out on LEO Records, new CD “Live at the KKL Luzern” on Creative Works), Mytha (the Contemporary Alphorn Quartet, CD on TCB-Records), Bucher/Glauser/Unternährer (drums, electronics, tuba, on Brainhall-Records) and the NAH Trio with Albin Brun on Schwyzerörgeli and Andy Aegerter on drums. 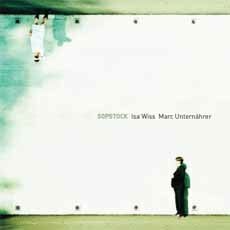 2002, Marc Unternährer spent five months in Chicago in the Artists Studio, provided by the Sister Cities Luzern-Chicago, where he met and played with many musicians from the local improvising music scene (Jeb Bishop, Fred Lonberg-Holm, Guillermo Gregorio, Keefe Jackson, Josh Berman, Frank Rosaly, Ensemble Noamnesia, Gene Coleman and many others). Since then he likes to visit Chicago as often as possible. Also played with Marco Käppeli, Fredy Studer, Rob Mazurek, Peter Schärli, Beat Unternährer, Barry Guy, Cristin Wildbolz, Hans Hassler, Andreas Glauser, Christian Bucher, Markus Lauterburg, Swiss Improvisors Orchestra, Andres Bosshard and many others. Member of the Forum Neue Musik Luzern and Co-Founder of the concert series “The Luzern-Chicago Connection”. Co-Founder of the Mullbau, a room for experimental arts. Artistic direction for the Bergtöne CD label. Teaches Introduction to Free Improvisation, Concept Pieces and Graphical Notations at the Musikhochschule Luzern. the cd itself is a nice piece of free improvised stuff with outbreaks of ingenious energy bursts. Refreshing that is basically the word for it.